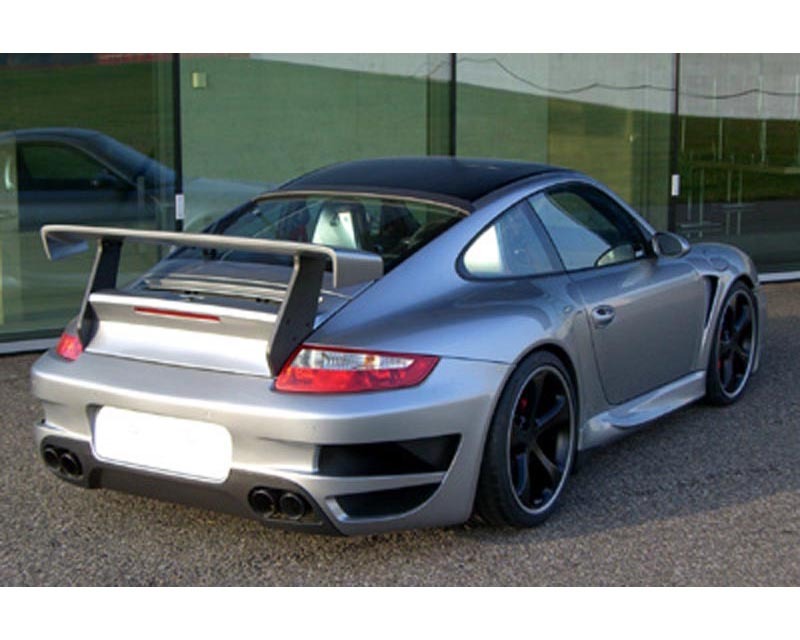 The world;s largest aftermarket Porsche Tuner, TechArt, has this front spoiler for the Porsche 997 Turbo. 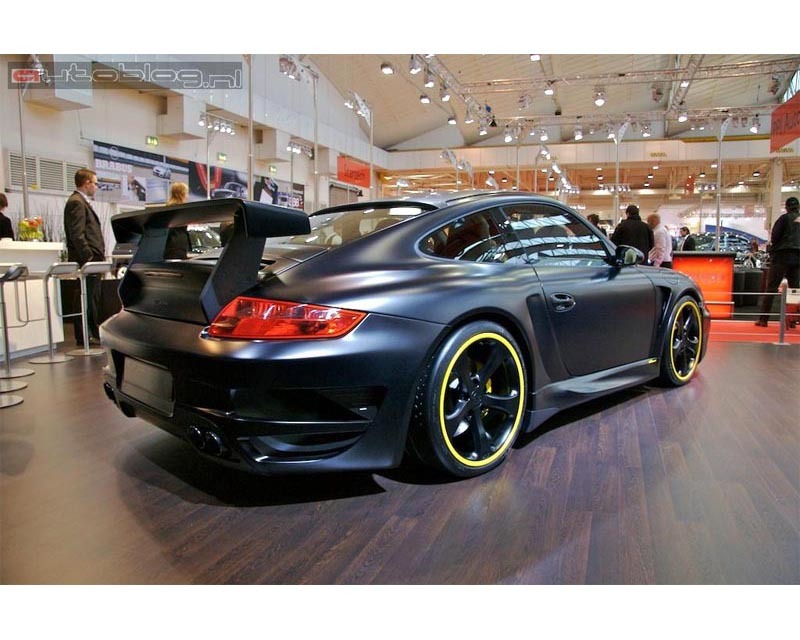 Note: Installation only in combination with the TECHART GTstreet exhaust system. Nestled in the heart of Porsche country, halfway between Weissach and Stuttgart, TECHART was created in May of 1987 by an aerodynamicist and a businessman with the idea of fusing technology and art. The aim was to meld perfect design with functional technology. Today TECHART offers complete tuning conversions for the Boxster (986, 987), 911 (993, 996, 997), the Cayman, and the Cayenne. This includes wind-tunnel proven aerodynamic styling, light alloy wheels, sport exhausts, performance enhancements and sport suspensions. The interior program is extensive, ranging from brushed aluminum trim, factory matched carbon trim and various stainless aluminum and leather accessories. 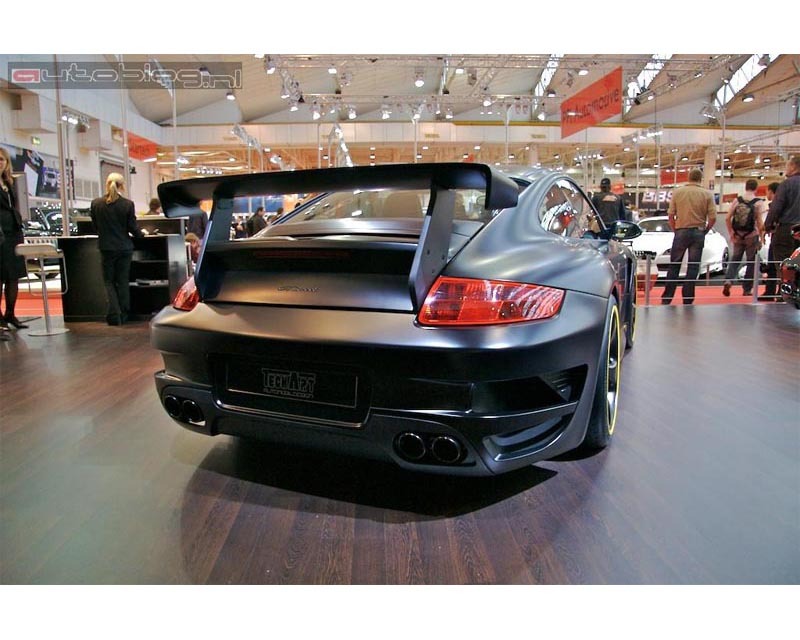 Made in Germany, TECHART is today one of the most recognized Porsche tuners not only at home, but all over the world.